Every year, incidents involving overhead power lines while on the job site impacts hundreds of Albertans. 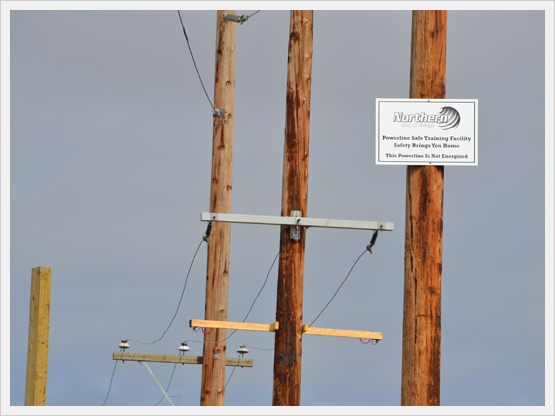 To enhance the training of workers in preventing electrical incidents and injuries, while maintaining the protection of the public, Northern Mat & Bridge collaborated with a local powerline company and developed a concept called de-energized power line training. The successful execution of de-energized power line training requires a training facility with full-scale, non-energized, transmission and distribution lines. These ‘mock power lines’ provide a realistic and controlled environment to prevent incidents in the field, and the opportunity to apply the lessons learned during training to further develop safe work practices and procedures. 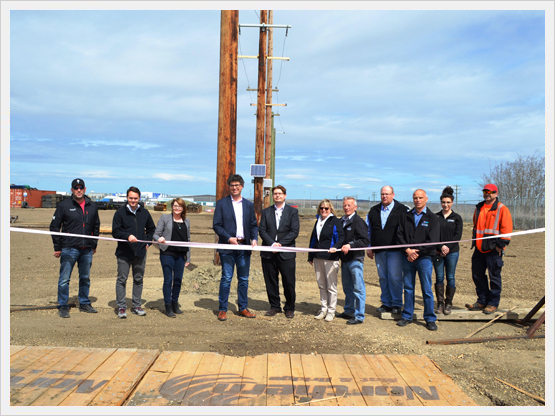 In November 2016, a partnership between a local powerline company and Northern Mat & Bridge (NMB) brought the concept de-energized power line training to fruition. 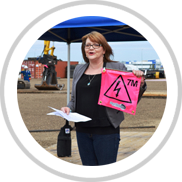 The overall goal of the “NMB Power Safe Training Facility” is to minimize workplace incidents; by sharing the knowledge and development of better practices and procedures with partners in safety across Alberta. Through continuous development and integration of emerging best safety practices, we have created an award winning HSE program.